I’ve spent the majority of my life believing that I hate oatmeal. The only kind of oatmeal I had ever really had was the instant kind from the packets and it just didn’t float my boat. I’m not a fan of the texture. 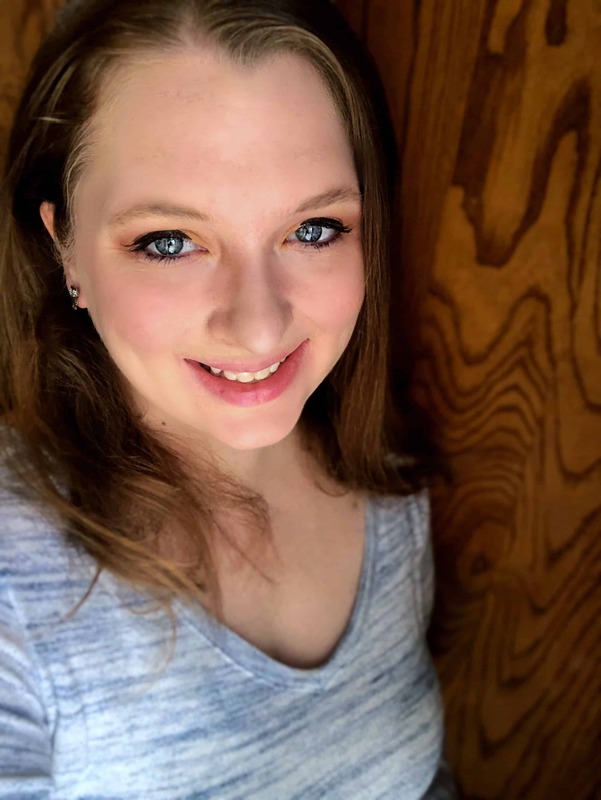 Well, my husband got me started on overnight oats, and I loved them. I found that I could change the texture of the oats depending on how much liquid I added, so I started experimenting with hot oatmeal recipes. 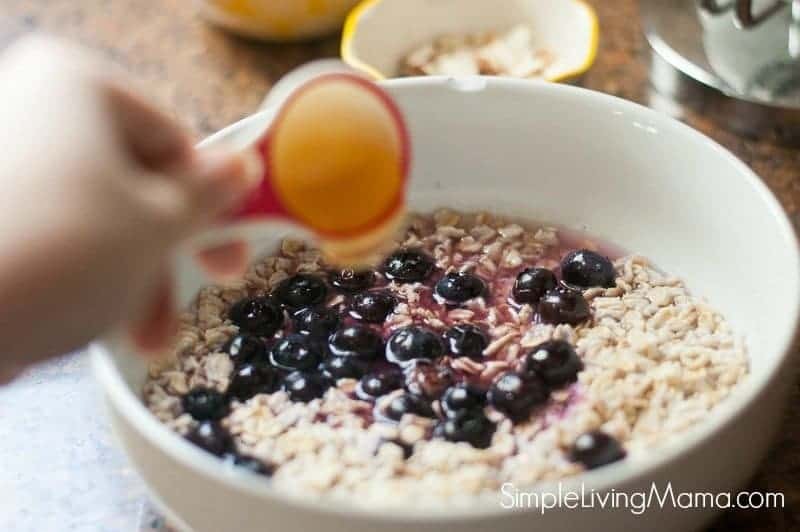 This insanely easy blueberry oatmeal recipe is one of my favorites, and it’s been added to my simple living recipes box! 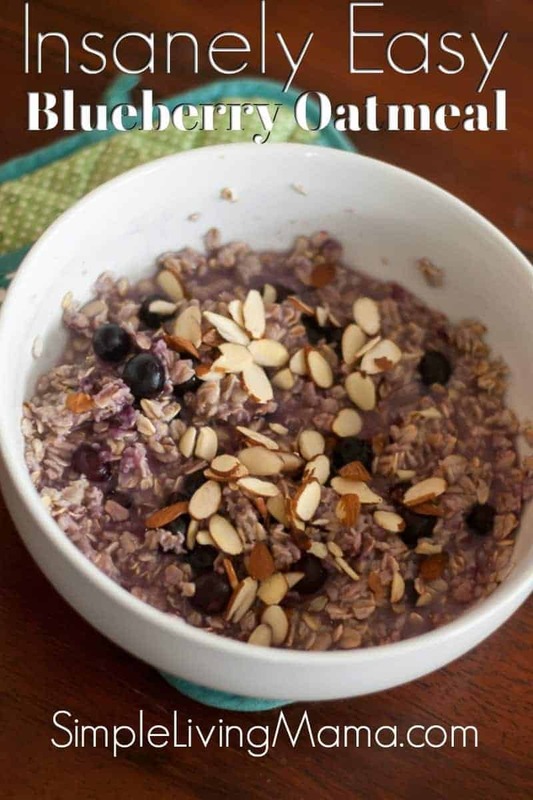 All you need to make this yummy blueberry oatmeal recipe is 1 cup of oats, 1/2 cup of blueberries, 1 1/2 cups water or milk, 1 tablespoon honey (or other sweetener), and almonds to top the oatmeal. 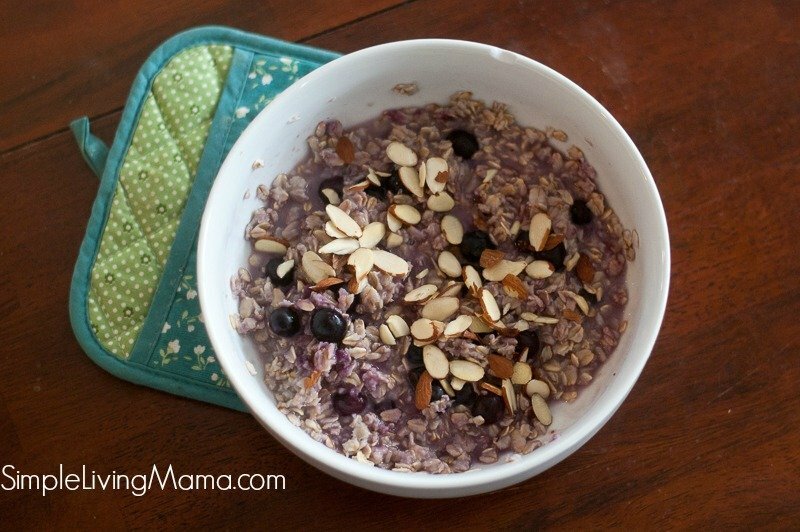 I place the oatmeal, water, and frozen blueberries in a bowl and microwave for about 2 minutes. You can also cook on the stovetop until the oatmeal reaches your desired doneness. You can always play around with the measurements and cook time. 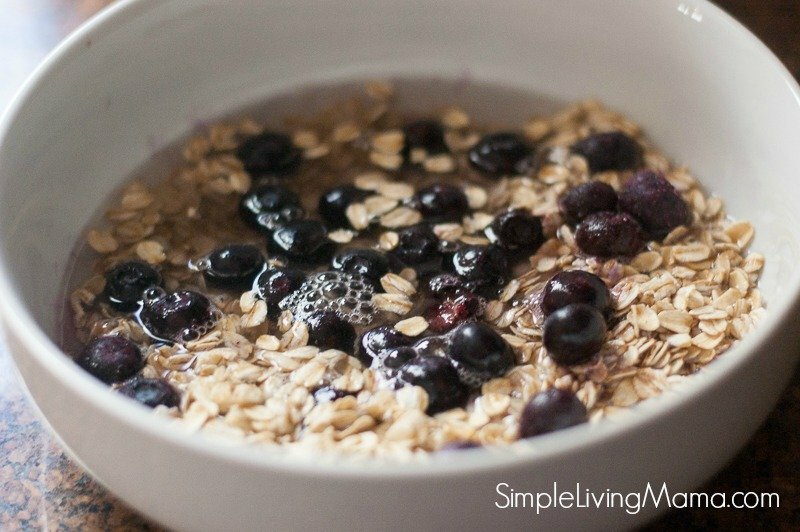 You may want a thicker oatmeal, so you could add less water or milk, or you may want a thinner oatmeal, which means you should add more water or milk. I also love making this recipe with vanilla almond milk. It’s so good! Once your oatmeal is finished, stir in your sweetener. I love using honey, but you could also use maple syrup or brown sugar. Then, simply top with the sliced almonds. I love the extra crunch that the almonds add. 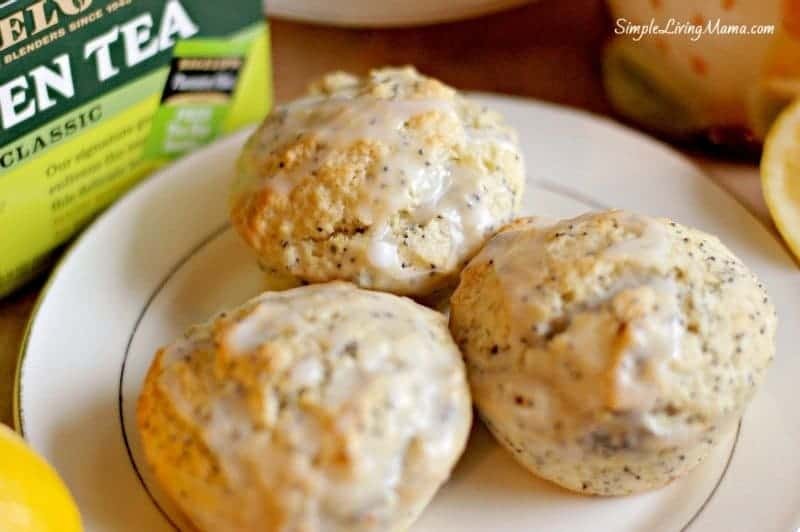 You could also add in some fresh blueberries if you have them. 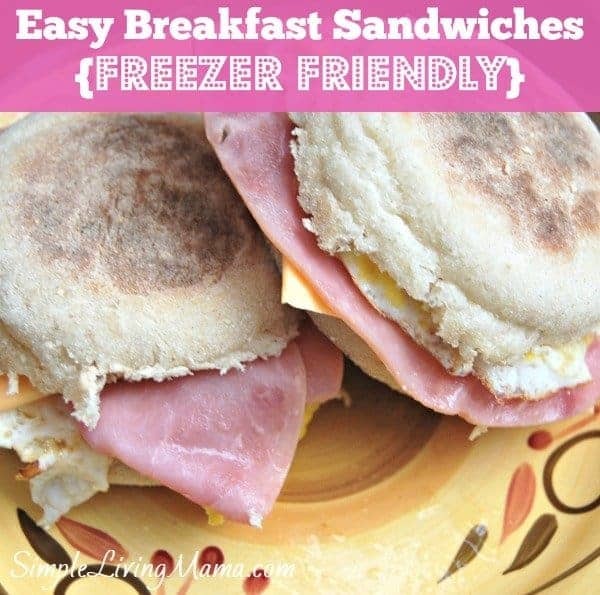 This breakfast is perfect for chilly mornings. I even eat it as a snack in the early afternoon. As a breastfeeding mama, the oats help me keep my milk supply up. Even my one year old daughter loves this oatmeal. She sits with me at the table and eats with me. It’s so sweet. I cannot get her to eat any other kind of oatmeal, so I’m so glad I found a solution for both of us! 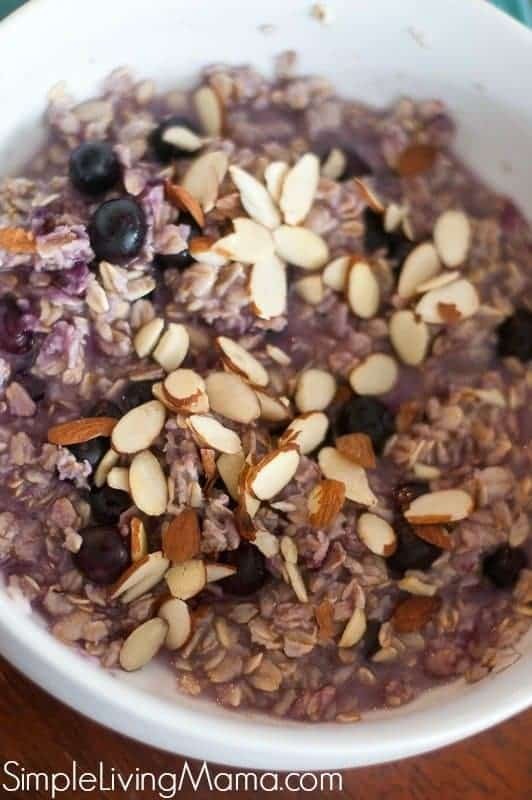 If you’ve never been a huge fan of oatmeal, give this one a try. 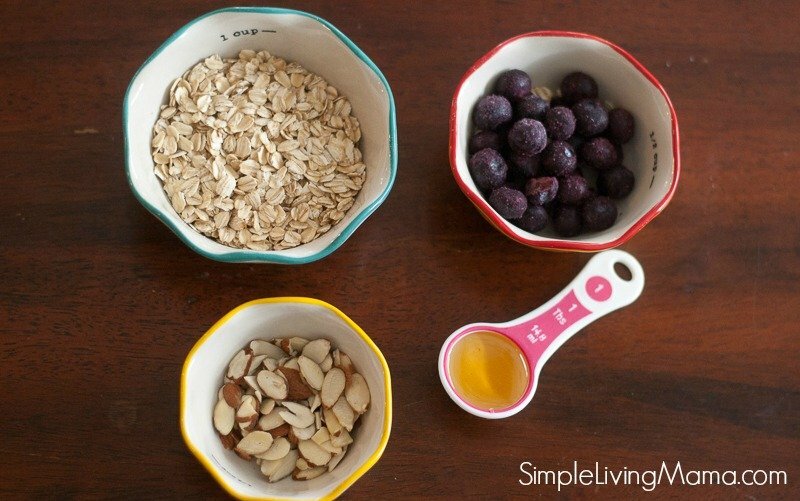 Once you realize you can customize your oatmeal, you realize the sky is the limit and you can create your own yummy breakfast! I have a few other oatmeal recipes in the works here behind the scenes. 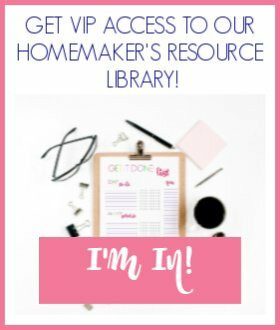 I can’t wait to share them with you! 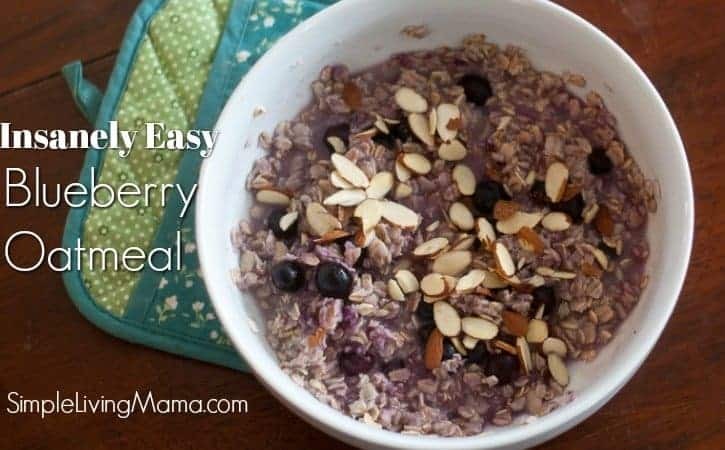 If you’re looking for a fairly frugal breakfast option that can be made quickly, this blueberry oatmeal is definitely perfect! 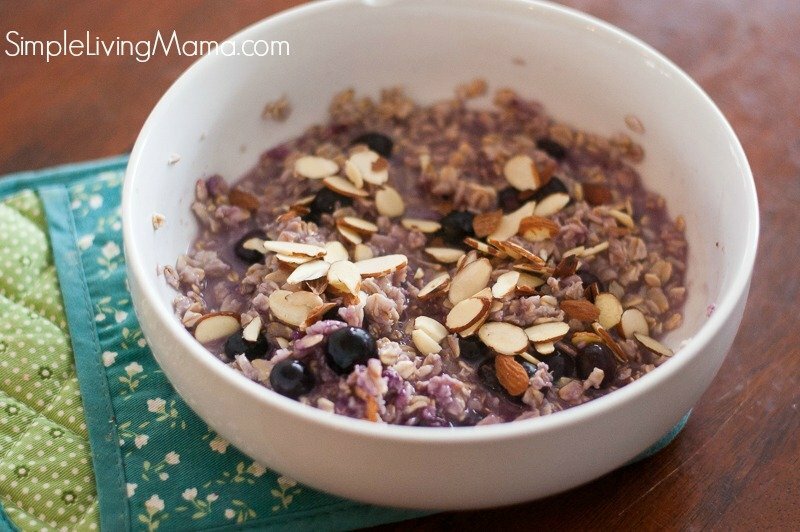 An insanely easy blueberry oatmeal recipe made with frozen blueberries and topped with sliced almonds. 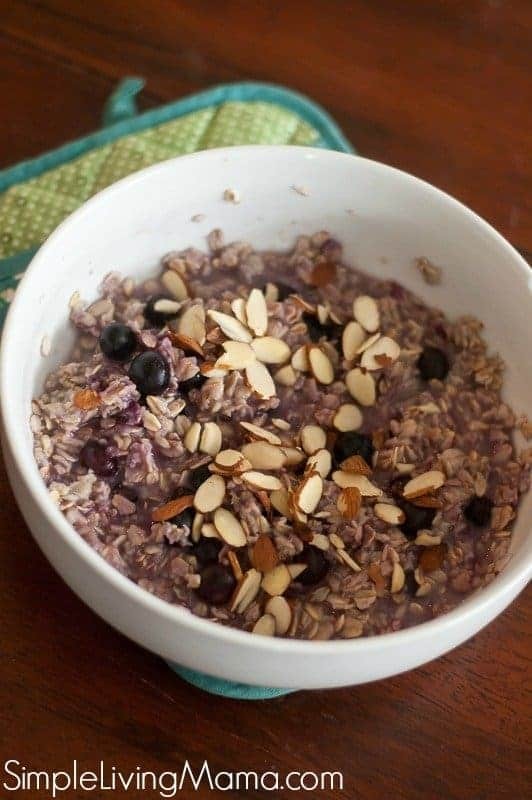 Combine oats, water, and blueberries in a microwave safe bowl. Microwave for 2 min or until heated through.